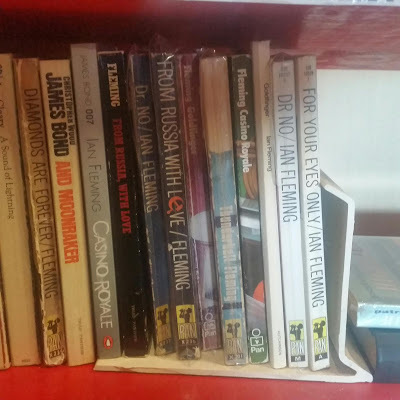 My Mum contacted me a fortnight ago as she'd read that a real James Bond car was temporarily on display in a building near the City until mid-September. The car in particular was an Aston Martin DBS's featured in the film "On Her Majesty's Secret Service". So last Friday during my lunch break I drove to the VACC building to check out the vehicle. 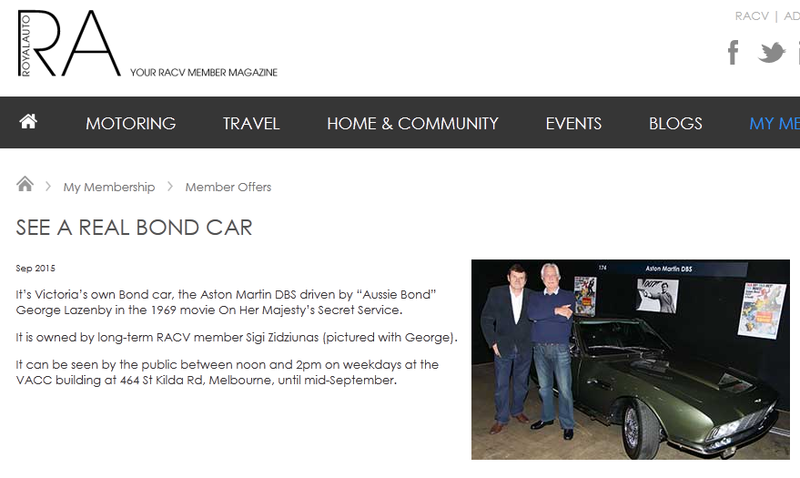 I've seen this car twice before: once at Armageddon Expo 2012 when I also met George Lazenby and the other time at the "Designing 007 - 50 Years Of Bond Style" Exhibition in 2013. The car is owned by fellow Melburnian, Sigi Zidziunas, and from my recollection of the conversation I had with him in 2013 he's owned the car for several years after importing it from Portugal. He quickly gained provenance and has displayed the car at a number of conventions and exhibitions. And I have to say... every time I see this car it looks fantastic. Here's some snaps I took of the same DBS back in 2013 at the "Designing 007 - 50 Years Of Bond Style" Exhibition at the Melbourne Museum. There were actually two identical DBS's used during filming of the 1969 Bond film but I'm not sure where the other one is located. 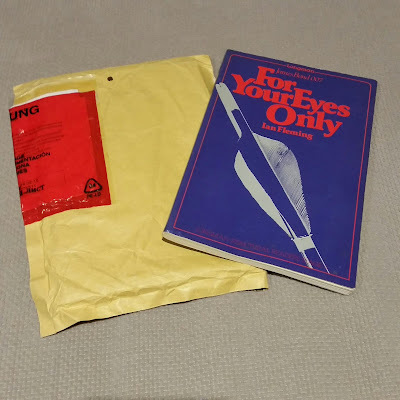 Fortunately I was not completely out of luck last Friday. This English Second Language copy of "For Your Eyes Only" published by Longman in 1982 arrived in the mail. This is one of several ESL books I've purchased recently. 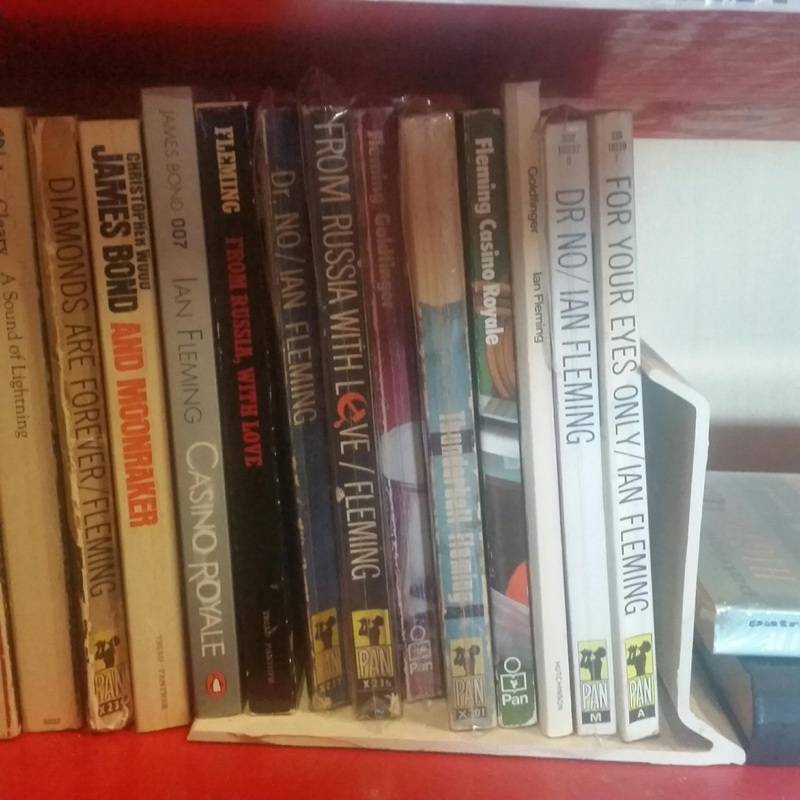 I think I'm getting close to collecting them all now. With some warmer weather arriving last Saturday my wife and I decided to drive to Mornington. As well as visiting a few gift shops we also dropped into Farrell's Bookshop. 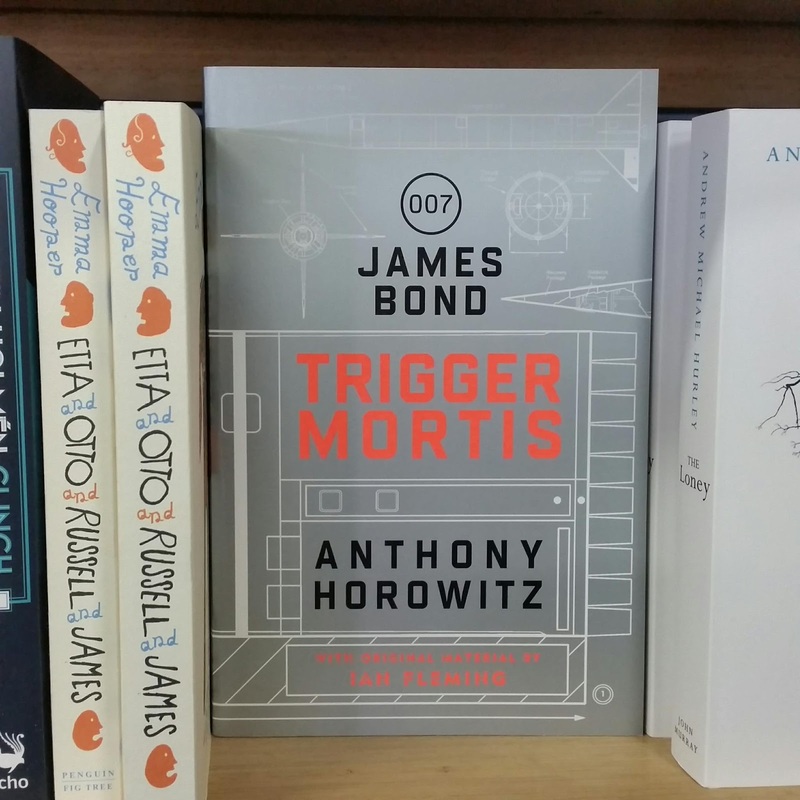 A great independant book store with a wide variety of new books I was pleased to see copies of the newly released Bond novel "Trigger Mortis" by Anthony Horowitz on the shelf. This was the first time I had physically seen the book. 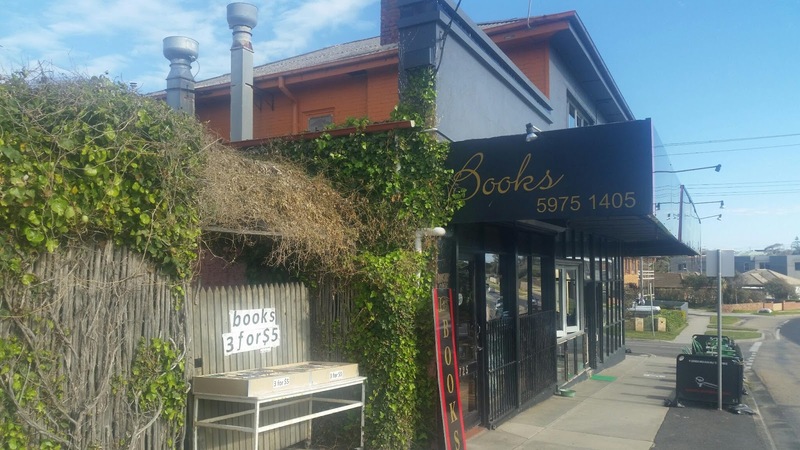 We also travelled just down the road to the second-hand store Books By The Bay where many Bond paperbacks sat on the shelf but unfortunately I had them all. Still it was good to pay a visit. 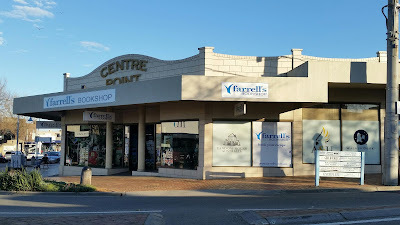 And finally... 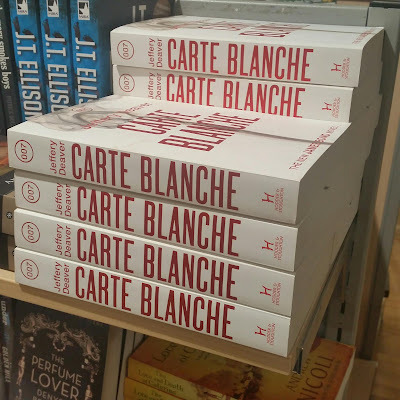 I noticed this pile of "Carte Blanche" books on a shelf in a local department store. They were 25% off but considering "Trigger Mortis" has just been released and this book was published in 2011 I'd be increasing that discount.